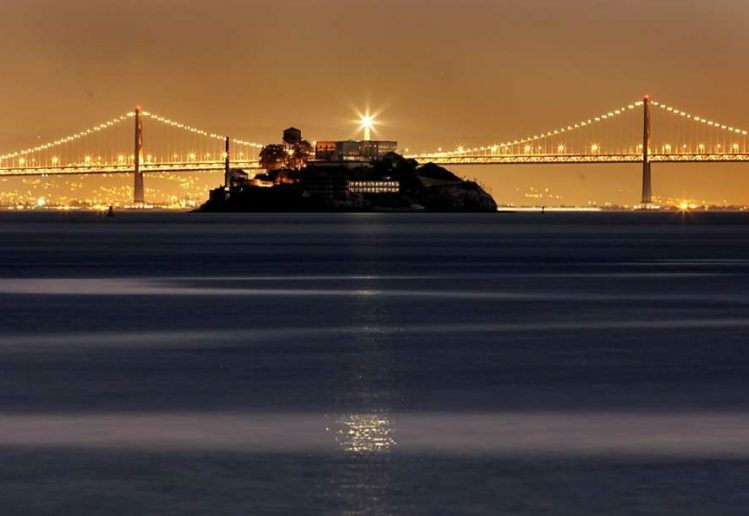 This weekend, I had the pleasure of taking the night tour of Alcatraz Island in the San Francisco Bay. This has long been on my bucket list of things to do in the city. And as a museum professional, I was curious about what the experience would be like. The boat ride over to Alcatraz Island was a great start to our trip. The queuing experience was well managed and orderly, despite having a full boat. The staff were courteous and helpful getting us aboard and settled. Once we were underway, the audio narration started. I was surprised that the narration introducing us to Alcatraz was done by a live human, not a recording. That was a nice detail that added a personal touch to the experience. Apparently the evening tour takes a longer route around the island than the day tours. The boat guide pointed out particular landmarks and historic spots as we passed them. You also got fantastic views of the city receding into the background, as the boat approached the island. Once docked, the staff assigns you to a guide who walks you up a hill to the main penitentiary building. This serves to break up the large group of visitors into smaller clusters that makes the experience a lot more enjoyable. Any concerns we had that we were going to be walking through the building in the midst of a huge mob were quickly alleviated. Once in the actual penitentiary, we were all given free audio tour devices. 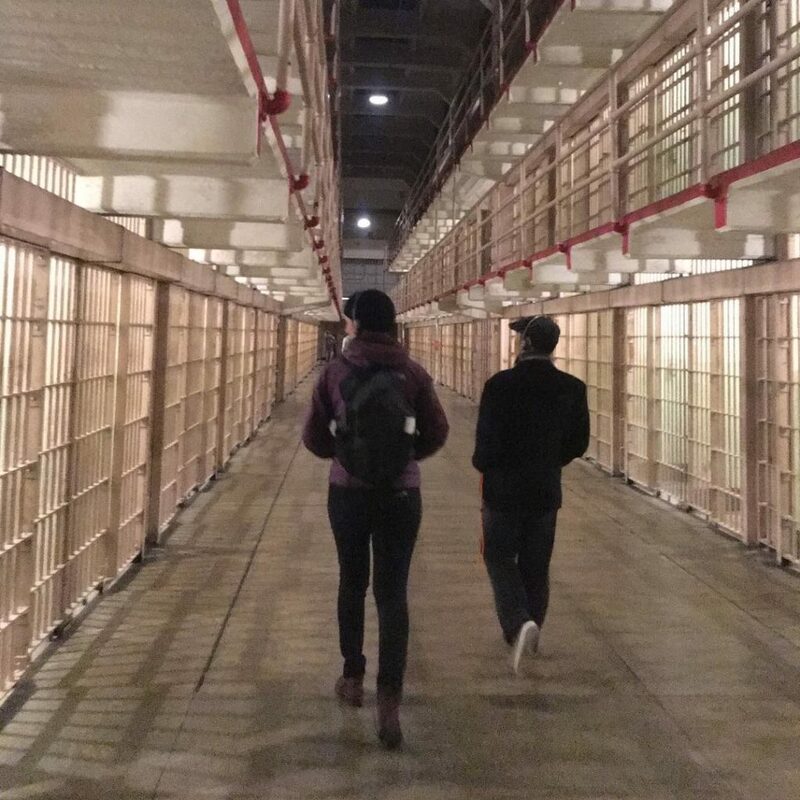 You don’t need to use them to experience Alcatraz, but my group found that the audio tour really enhanced our experience of the space. 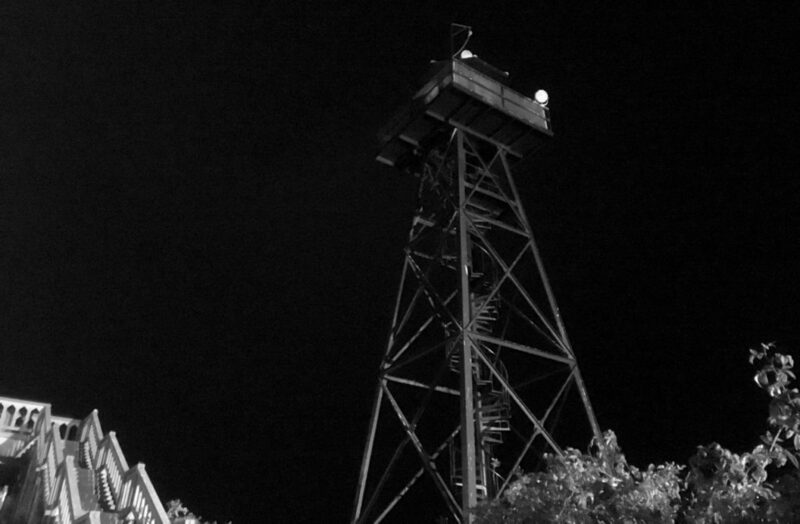 Rather than just a dry, anonymous narrator, you hear multiple perspectives on what it was like to be on the island from a number of perspectives — former prisoners, guards and others. Hearing prisoners tell their stories about prison life was at times chilling and at other times heart-warming. The human spirit is a powerful force, even when the body is confined and deprived of freedoms. The audio tour also included a lot of evocative ambient sound that really added to the experience — heavy metal doors slamming, prisoners yelling, keys jangling, wind howling. At times I felt transported back in time, despite being around hundreds of other visitors. “This is the best audio tour I’ve heard in my life,” my companion remarked. There were several park staff recounting different stories of attempted escape attempts, which I assume is the number one area of interest for people. The staff were clearly very passionate about their jobs and good story-tellers. One of the most fascinating parts of our visit was a guided tour of one of the most elaborate escape attempts by four prisoners in 1962. The tour started inside the prison, but then took us outside the walls, around the huge fence, and down to the water. Our guide gave us an intimate profile of one of Alcatraz’s most notorious prisoners, Allen West. She described West as a man who had spent much of his life, from the age of 13 to his 30s, incarcerated. She had us imagine what it would have been like to be a teenager and to spent most of your maturing years in some kind of incarceration. “How would you mature in that environment?” she asked. “The answer is that you wouldn’t.” In her analysis, West, like a lot of inmates, was “a teenage mind inside of a full developed adults body.” That does sound totally frightening. 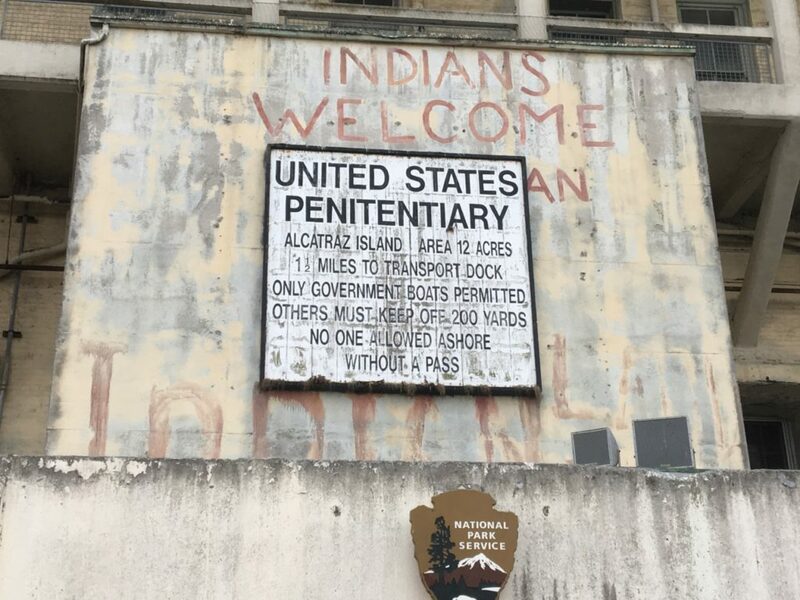 Overall, I thought Alcatraz was a very well planned and executed experience, with the right balance of structure and freedom for the diverse population of millions of visitors the island receives. Whether you are interested in the military history of the island, its 30 years as a federal penitentiary, or the political protests that took place there in the 1960s, there is something there for you. We were even introduced to the many species of seabirds that called Alcatraz home, including cormorants, pigeon guillemots, snowy egrets and black-crowned night herons. As one of the most visited cultural landmarks in San Francisco, it’s gratifying that it’s so well done. Great job, National Park Service! Next ArticleCal Academy Celebrates 10 Year Anniversary with Free Days Sept 23-25!